Financial services – an overview. Sometimes the unusual choice turns out to be the most rational. Choosing a smart means opting for a truly exceptional car. And for lots of flexibility – especially in conjunction with our financial services. Our different financing and leasing products are designed to get you behind the wheel of your smart in no time at all. And our insurance products give you optimum protection at all times. Leasing options: The first class lease. – an overview. The "walk away" (or Closed-End) Lease allows you to make a set number of monthly payments for any term ranging from 24 to 60 months, with a limit to the amount of kilometres that can be driven during the lease term. You also remain responsible for excess wear and tear to the vehicle. The Single Pay Option lets you make all of your monthly lease payments up front, offering a discounted payment over a traditional monthly lease payment. Available for "walk-away" leases for 24 or 36-month lease terms, this plan lets you make all of your monthly lease payments up front in one lump sum, offering a discounted payment over a traditional monthly lease payment. With the Single Pay Option, you continue to receive all the benefits of leasing, such as Gap Protection. Why pay 100% cash for a car when you can pay just the single payment and invest the difference? Why pay all the sales taxes up front when you can pay only on the single payment portion? Why not avoid the monthly hassles of writing cheques, tracking invoices and mailing payments? Anyone who wants to save money is an ideal candidate for the flexible Single Pay Option. We strive to make your lease return process as efficient as possible. The Mercedes-Benz Financial Services Lease-End Guide provides an overview of our vehicle condition guidelines in the event that you choose to return your vehicle. Please use the link below to download our Lease-End Guide booklet which provides information regarding excess wear and tear, excess kilometrage charges and a vehicle condition review checklist is also included. Please note, the booklet also references a First Class Finish Card which can be used to conduct your own vehicle condition review. The approximate dimensions of the card are 3.375 inches (width) x 2.125 inches (height). Want the many benefits of leasing together with the privilege of ownership? With our Star Advantage option , you can have both. In comparison to traditional Financing, Star Advantage allows you to have a lower monthly payment with one lump-sum payment at the end. At the conclusion of your agreement, simply refinance  it with us or pay off the Final Payment Amount. Subject to credit approval. Not available in the province of Québec. Do you have questions? We’ve got the answer. Q. After I’ve decided on my smart vehicle, what steps do I take to lease or finance through Mercedes-Benz Financial Services? A. Once you decide on a vehicle, you can Apply for Credit by clicking here. Once your application is submitted, notification will be sent to your preferred dealer, who you can then contact to arrange the last details. You can also apply for credit in person at your preferred dealer. Q. If I apply for credit online, will the information I provide and view be secure? A. Rest assured that at financingfortwo.ca we're as concerned about this as you are. We safeguard your personal information with industry-standard security technology. In order to make sure you're receiving all the benefits of our safety and security procedures, we suggest you upgrade to the latest version of your Web browser. Q. Can I lease or finance a pre-owned smart vehicle? A. Yes. Mercedes-Benz Financial Services also offers competitive financing programs customized specifically for pre-owned vehicles. Please inquire with your local dealer. Q. In a First Class Lease, how many kilometres can I drive? A. To fit the varied driving habits and preferences of our customers, Mercedes-Benz Financial Services offers several different lease programs. For smart vehicles, our standard lease allows for 18,000 kilometres per year, and our low kilometre lease allows for 12,000 kilometres per year. In addition, we offer an extra-kilometre lease if you drive more than 18,000 kilometres per year. Q. How do I go about purchasing my vehicle at the end of my lease? A. Your vehicle may be purchased at the end of your term by contacting a lease maturity advisor at 1-866-202-6969. Q. Is it possible to extend a lease that is ending, for example if my new smart vehicle isn’t available yet? A. You may have the option of extending your lease. Please contact a lease maturity advisor (1-866-202-6969) to review your options. Q. What happens if I would like to terminate my lease early? A. You may, in fact, have various options available to end your lease early, as per the terms of your lease agreement. To inquire about your available options, please contact the appropriate Mercedes-Benz Financial Services servicing office at 1-888-532-7362. Q. What is Pre-Authorized Payment? A. Pre-Authorized Payment is a free service available from Mercedes-Benz Financial Services that automatically deducts your monthly vehicle payment electronically from your chequing or savings account. Q. How does Pre-Authorized Payment work? A. Each month your payment is deducted from your enrolled chequing or savings account. If the date happens to fall on a weekend or holiday, the debit is processed the next business day (Monthly or Biweekly payment options are available). Q. What do I need to qualify for Pre-Authorized Payment? A. All you need is a chequing or savings account in good standing with a financial institution. To sign up, you'll also need to supply some basic personal information, chequing or savings account information, as well as your Mercedes-Benz Financial Services account number(s). Q. How do I sign up for Pre-Authorized Payment? A. For registration inquiries, please contact the appropriate Mercedes-Benz Financial Services servicing office at 1-888-532-7362. Q. How will I know my Pre-Authorized Payment service has been activated and I can stop mailing payments? A. You are responsible for mailing your payments until you receive a confirmation letter stating that you are enrolled in Pre-Authorized Payment. The enrollment process takes approximately 30 days after we receive your Authorization Agreement. It is very important that you continue mailing your payments until you receive this confirmation letter. Q. What if I haven't received a confirmation letter after four weeks? A. In this situation, contact Mercedes-Benz Financial Services by calling the Mercedes-Benz Financial Services office that services your account to check the status of your Pre-Authorized Payment registration (1-888-532-7362). Q. Do I include a payment with my Pre-Authorized Payment Authorization Agreement? A. Yes, you can include a payment with the Pre-Authorized Payment Authorization Agreement. Continue making payments by mail until you receive a confirmation letter from Mercedes-Benz Financial Services. Q. Can I use Pre-Authorized Payment for more than one Mercedes-Benz Financial Services account? A. Yes. Pre-Authorized Payment can be used to make payments on as many Mercedes-Benz Financial Services accounts as you like. Simply complete the Authorization Agreement process for each account. Make sure the Authorization Agreement is complete, then print and sign the document and mail it and a void cheque to the Mercedes-Benz Financial Services office that services your account. Q. What if I change financial institutions? A. Transferring Pre-Authorized Payment to a new chequing or savings account is easy. 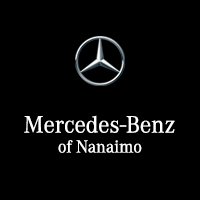 All you need to do is complete a new Authorization Agreement with your new account information and send it to Mercedes-Benz Financial Services along with a void cheque. We'll update your Pre-Authorized Payment information and send you a confirmation letter stating that we have processed your information change. The process takes approximately 30 days after we receive your Authorization Agreement. Payment will be drawn from your current account until Mercedes-Benz Financial Services and your financial institution have processed the request. In the interim, if you have closed your current bank account you must make payment by mail. Q. What if I decide to discontinue Pre-Authorized Payment? A. To cancel Pre-Authorized Payment simply complete and submit the Cancel Pre-Authorized Payment online form within the Statement Options tab of Update Profile. You can continue making payments by mail, or sign up for Pre-Authorized Payment again at a later time. Q. I need to speak to a Mercedes-Benz Financial Services representative about Pre-Authorized Payment. Who do I contact? A. If you still have questions about the service, please contact the Mercedes-Benz Financial Services servicing office by calling the Mercedes-Benz Financial Services office that services your account. Before calling, make sure to have your banking information and Mercedes-Benz Financial Services account number(s) available so that we can serve you as quickly and efficiently as possible.